"Why do buses always come in 3's?" "How likely is it for me to win the Lottery?" "What is the time in Japan?" "How long will I have to save up to buy a PS3?" 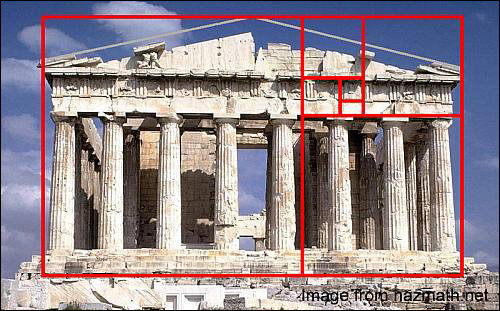 This famous Greek buiding called the parthenon shows that this ratio has been around for thousands of years. The red rectangles all have the golden ratio. If you are interested by any of these problems, ask your nearest Maths teacher!